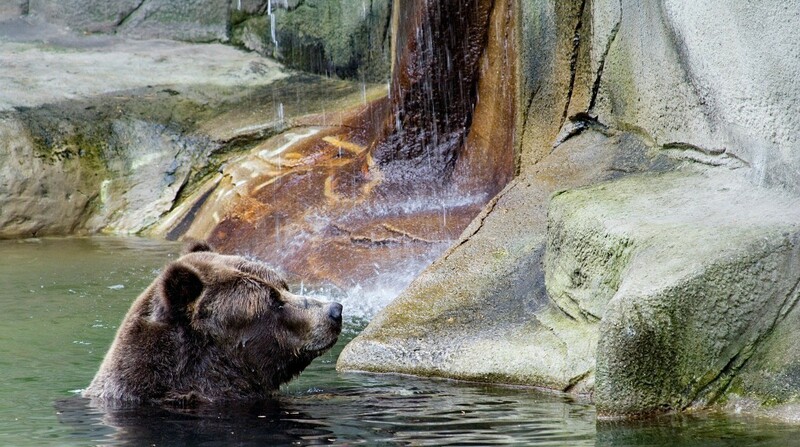 A zoo with over 600 species of animals that has a wide variety of educational experiences. Open to visitors and members year round, there is always have something to do at the zoo. 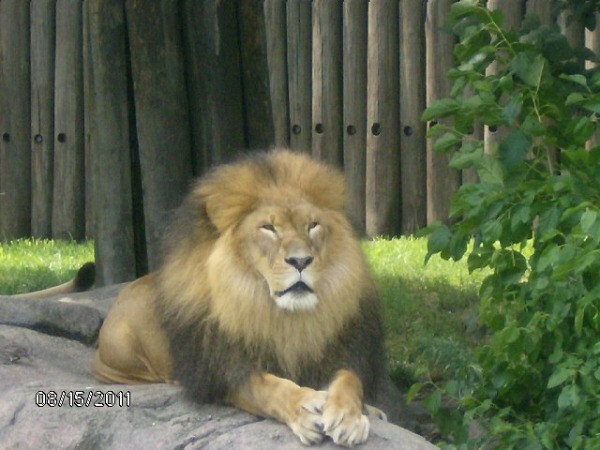 This is a guide about visiting Cleveland Metroparks Zoo. This is what you see first when you walk into the rainforest exhibit at our local zoo. I could watch this waterfall for hours. Our son and his wife love to visit the larger zoos around the US. Their favorites are the ones which have made provisions for the animals to live in the closest environment possible to their own natural habitats. Last year they were in Cleveland, Ohio and took these wonderful photos of a Siberian Tiger and a very regal Hamadrya Baboon. The beautiful Tiger had a waterfall in his habitat which he took advantage of several times to drink from and play in which delighted all the visitors. That big cat loved water as much as our own Sir Catty Kit does. They sent them to me to share with friends and family, so I'm sharing them with you folks here on Thrifty Fun. I hope you enjoy them with us. I love going to the zoo, and I can remember going since I was very little. 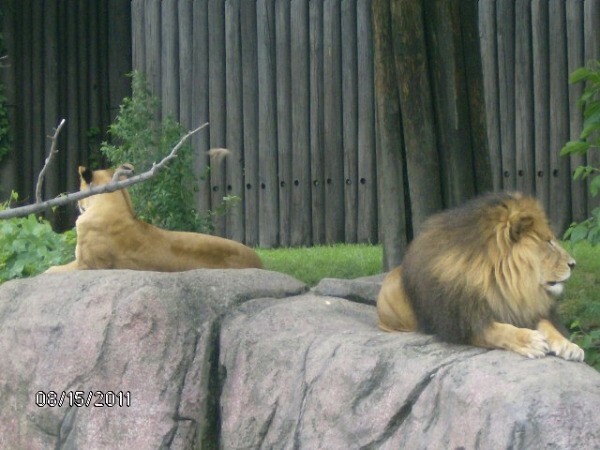 Every time I would go, the lions would always be laying behind some bushes at the side of the enclosure. Maybe once in a while, the female would poke her head up. I never got to see the male other than a flash of fur here or there. 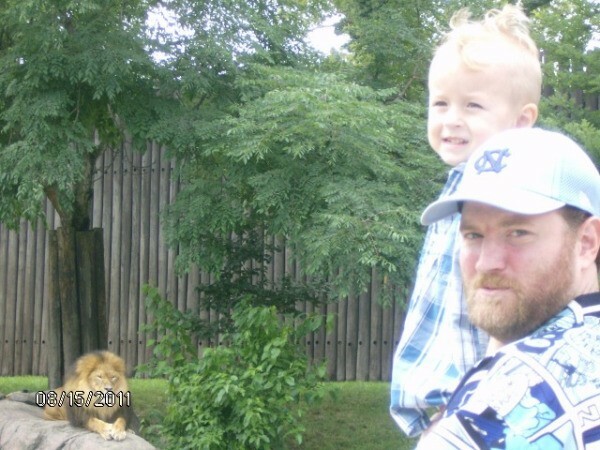 Well, we took my son to the zoo recently on a nice breezy, cool day. When we walked in, BOTH lions were laying out, awake on a slab of rock. I was so excited to not only see a male lion regally sunning himself, but to get to share the moment with my son! I took plenty of pictures! 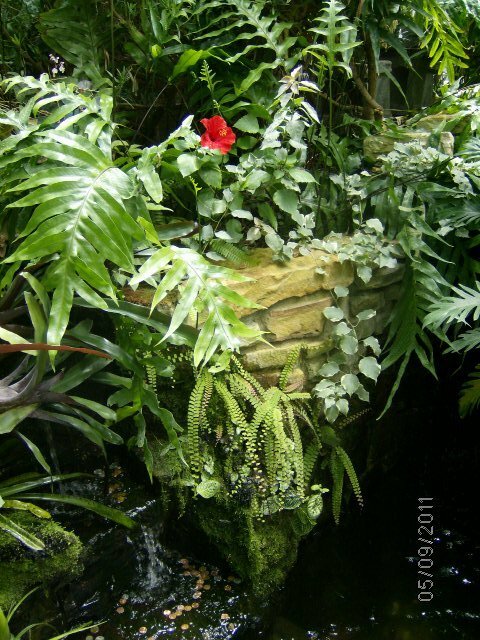 I took this picture in the greenhouse at the Cleveland Metroparks zoo. I plan to blow it up and print it out to hang on my wall. I would love to have a little place in my backyard like this! This is a shot in the Cleveland Metroparks. 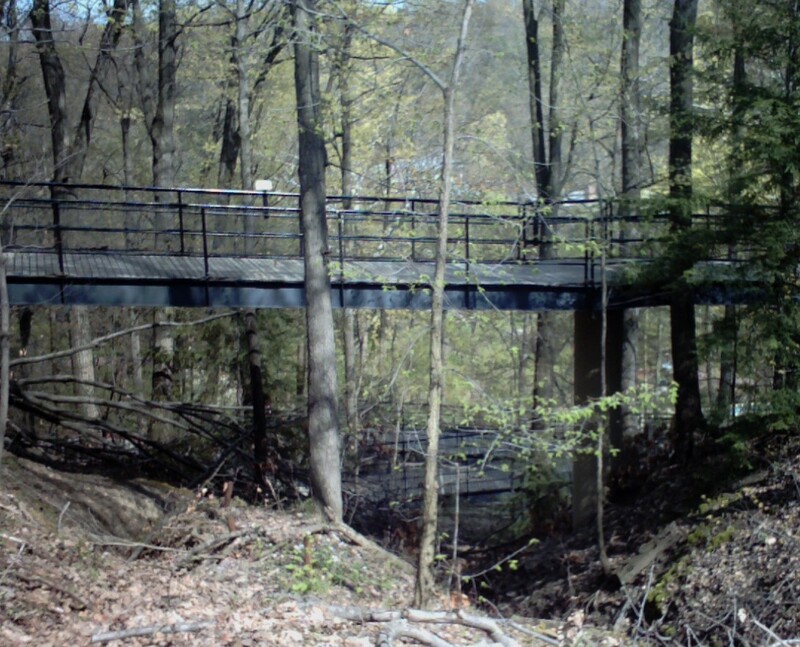 There is a walkway through the trees at the zoo and this is a shot of one of the bridges on that walkway. 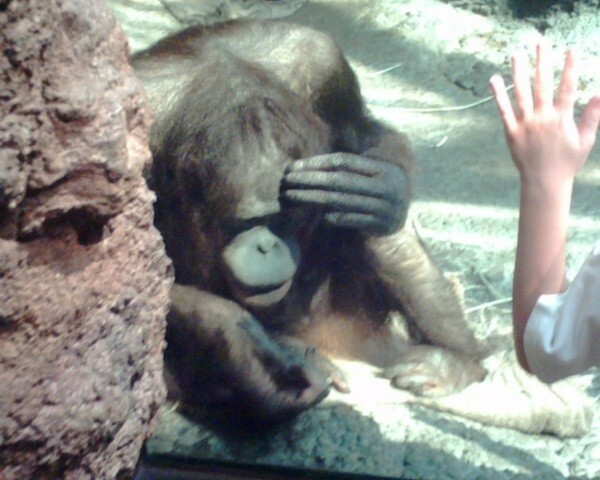 I was at my zoo, watching the orangutans, and one of them was playing peek a boo with a little girl who was watching them. It was so sweet!